Contact iHealthSpot today to learn more about our affordable medical website packages that are packed with award-winning features you won’t find anywhere else. 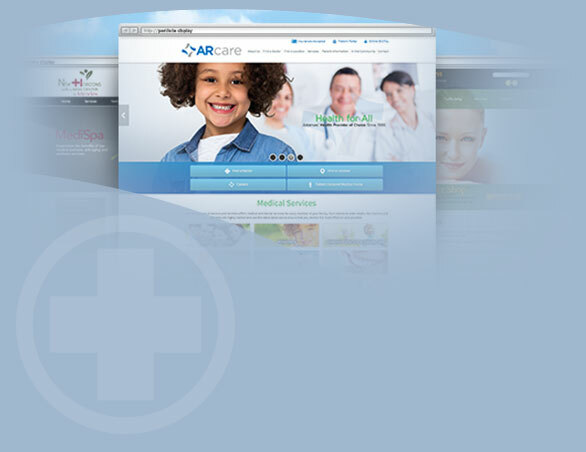 Our medical website packages fit any size practice! Call us toll-free at (877) 709-0999 and get online today. Have an existing website? Call us today for a consultation and medical website review. Call (877) 709-0999 or use our CONTACT FORM and one of our friendly sales representatives will be glad to assist you with your custom medical website design.